A study commissioned by the World Intellectual Property Organization to analyse which essential medicines on the 2013 World Health Organization Essential Medicines List were under patent found that over 90 percent of medicines on the list were off patent, and advocated more transparency in patent information. The study’s release set off an outcry among public health advocates who viewed the report as biased toward pharmaceutical companies. The report [pdf], presented yesterday on the margins of this week’s WIPO Committee on Development and Intellectual Property meeting, looked at which of the 375 items on the 2013 WHO Model List of Essential Medicines (MLEM) are patented and where, and found 20 medicines were under patent at that time, most of which for HIV/AIDS. Meanwhile, in 2015, the Essential Medicines List was updated with new medicines under patent, including novel hepatitis C, drug-resistant tuberculosis and cancer drugs (IPW, WHO, 8 May 2015). That move, by contrast, was vigorously praised by activists as helping to bring down prices on latest patented drugs. The WIPO report was authored by Reed Beall and Amir Attaran, from the Faculties of Law and Medicine, respectively, at the University of Ottawa, Canada. The report, edited by the WIPO Global Challenges division, states that it is the opinion of the authors, and not necessarily of the WIPO secretariat or the WIPO member states. According to Beall, there is a lot of medicines procurement and policy activity around the list of essential medicines at the international level. The concern is that patents may increase prices but might decrease access, in particular in developing countries where many patients are paying out of pocket for their medicines. One of the reasons medicine patent information is hard to find is that while many international medical patent databases exist, he said, when it comes to medicines, it can be very difficult to know which patents are connected to which products. Also, patents accumulate over time and it is difficult to determine which patents companies care about and will be enforcing. The United States and Canada served as a base jurisdiction for the research, he said, as they represent most of the global pharmaceutical market, he said. The US alone represented 37 percent of medicines global sales in 2009, he added. 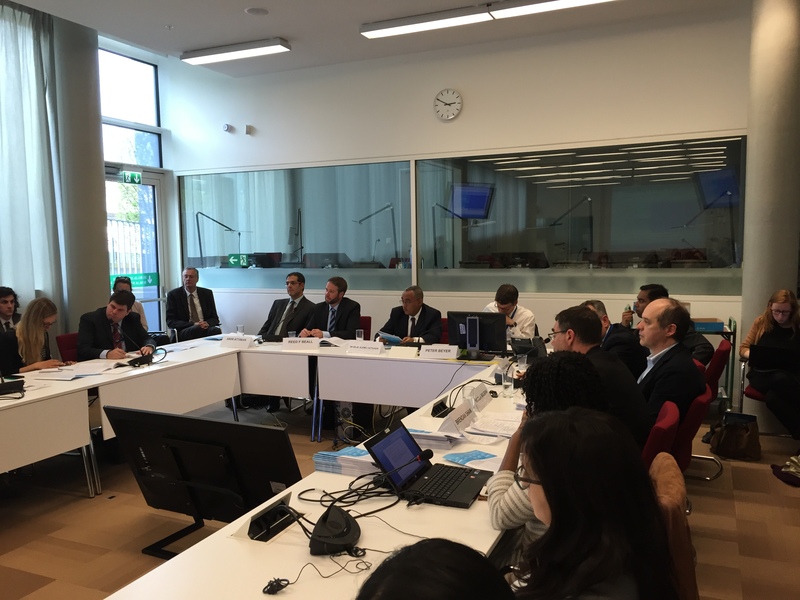 However, in the High Level Panel consultation in London last month, several participants talked about initiatives underway to create databases (IPW, United Nations, 11 March 2016). Patent transparency is essential to the fundamental social bargain of patents, in which the inventor disclose his/her invention and in exchange obtain protection, Attaran said. “Regrettably, the patent world has grown to such a degree, and has become so utterly complex, that practically speaking, disclosure is not always what it should be.” There should be greater transparency from companies on a voluntary basis, he said. He said during the research, the authors had “excellent cooperation” with companies, but two companies refused or were unable to provide the data. In particular, he cited the leading Indian generic company Cipla, which “surprisingly” refused to provide data on its patents on essential medicines. He also remarked that it is impossible to conduct such a large study without having some “errors creeping in”. However, those errors are so small that it does not affect the conclusions of the study, he said. Peter Beyer, senior advisor at the WHO, echoed the view of the authors, saying it is always good to have data-driven research, as it adds transparency and makes a very ideological debate more grounded in facts. “There are no big surprises [in the report] as we knew that they are around 20 patented drugs on the essential medicines list and nearly all of them are HIV drugs,” he said. Patent transparency is good for public health, for companies, for generics, and the whole system should actually become more transparent, said Beyer, adding that this need for more transparency is included in the WHO submission to the UN High Level Panel, as well as asking that the mandate of the Medicines Patent Pool be further extended to patented essential medicines. Brendan Shaw, assistant director general, International Federation of Pharmaceutical Manufacturers and Associations (IFPMA), said more and more companies are adopting innovative approaches to make access available, whether it is differential pricing, or licensing, or a choice not to enforce patents. The whole landscape is changing, and traditional boundaries between innovator companies, generic companies, and universities are blurring, he said. Patents may be held by generic companies or universities, he said. The report proved divisive with public health advocates. In the audience, Yuanqiong Hu, legal and policy advisor, Médecins Sans Frontières (MSF, Doctors Without Borders) Access Campaign questioned the report. In particular, she took issue with the “peculiar” methodology as the authors only verified the data through companies, rather than going to national intellectual property offices. She said the report has a “very biased approach,” illustrating her statement with the singling out of Cipla and saying if the authors had sought information from the Indian Patent Office, the information would have been readily available. “WIPO’s report not only relies on old data and ignores a number of more recent and reliable publicly-available sources and publications, but also has a flawed methodology leading to inaccurate conclusions and recommendations that appear targeted at undermining the importance of government-driven strategies to increase access to affordable medicines,” MSF said. “There is also a fundamental problem with the mandate – or lack of mandate – under which WIPO has commissioned this study and we wonder about the need to reconsider the relevance and future cooperation between WIPO and WHO on the relationship between intellectual property and public health,” said the release. MSF also asked for consideration of a proposal of introducing mandatory disclosure of International Non-Proprietary Names (INNs) of medicines in patent applications, as requested by a number of developing countries in the WIPO Standing Committee on the Law of Patents. This is a “critical regulatory measure to improve patent transparency,” it said. Hu said the report disregarded previous studies carried out by non-governmental and international organisations, such as the first database on patents on HIV medications published by MSF in 2003. And MSF said the patent status of key ARVs are “confusingly presented.” There is no analysis on the strength of the patent, and the database misleadingly shows even where patent challenges have led to rejections, the status is shown as “active”. The report, she said, favours voluntary measures such as licensing, without addressing the issue of upper-middle-income countries, usually excluded from most voluntary licensing measures. On using industry data, Attaran replied that some IP offices have inaccurate data in their databases and companies have a commercial interest in maintaining accurate information on their patents. Esteban Burrone from the Medicines Patent Pool said the report is interesting but it represents a snapshot while what is really needed is a resource, which is regularly updated, and underlined the central role of patent offices. Meanwhile, Knowledge Ecology International (KEI) published a comment on the report today, challenging the commissioning of the report to Attaran. The report, they said, is lacking an analysis of the harm that patent-related access barriers have caused to patients. KEI also said that Thomas Bombelles, head of Global Health in the WIPO Global Challenges Division, and former director of International Government Relations at Merck, has been a strong supporter of patents for pharmaceutical products, and has previously been associated with Attaran on publications on the subject. “The current report is not as misleading or harmful as earlier papers by Attaran on the same topic, but it also is astonishingly tone deaf to the implications of few patented drugs on the WHO EML, and makes the inaccurate and puzzling comments that health groups are not concerned about the transparency of patent landscapes, particularly given the intensive efforts to address these issues over the past 15 years, all of which the authors ignore,” KEI asserted. “We hope that WIPO and Tom Bombelles will continue to focus on this issue, but in ways that show more sophistication about the relationship between patents, prices and access, and consider the important reforms to progressively delink R&D costs from drug prices so that in the future the WHO can publish lists of essential medicines that do not systematically exclude drugs that work but are too expensive to be purchased by health systems with limited resources,” the group concluded. "Ideologies Fly In Discussion Of WIPO Pharma Report Calling For Less Ideology" by Intellectual Property Watch is licensed under a Creative Commons Attribution-NonCommercial-ShareAlike 4.0 International License.